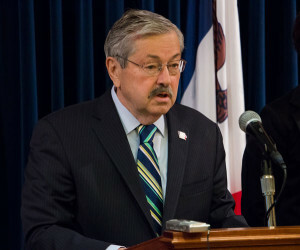 Governor Terry Branstad and his wife made over $191,000 last year, but paid a little less than $2,700 in state taxes. The governor’s chief of staff and the CPA who has been doing the Branstad’s taxes for the past 10 years met with reporters to discuss the couple’s tax returns late this morning. 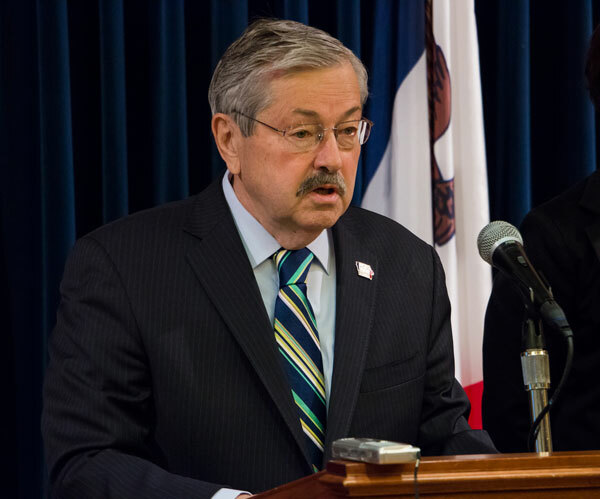 Branstad and his wife, Chris, were able to significantly reduce their state income tax liability to making nearly $29,000 worth of donations to charities, plus they plugged about $18,000 into college savings accounts for their six grandchildren. The Branstads own 13 post office buildings around the state and collected over $81,000 in rent, but through a combination a losses on those and other investments that rental income was basically erased from the bottom line. Branstad collected a salary of nearly $128,000 as governor last year, along with a state pension of nearly $55,000. His wife, who is no longer working, collected Social Security. The couple’s nearly $29,000 in donations to charities amounted to about 15 percent of their total income last year. Branstad’s chief of staff notes that’s five times higher than the average charitable giving from people in the Branstad’s income group. The couple gave to nine different Catholic churches, schools and charities and made donations to non-profit groups like the Terrace Hill Foundation which maintains the governor’s mansion. The Branstads did not donate to Drake or the University of Iowa where the governor earned his degrees, but the couple did donate to Des Moines University. Branstad served as president of the osteopathic college before returning as governor in 2011. The Branstad’s paid $20,000 in federal taxes for 2014. Their CPA says the Branstad’s federal income tax rate was 10.62 percent. The couple paid $2,465 to cover a portion of the premiums on their health insurance policies. Reporters were allowed to view copies of the couple’s 62-page tax return for about half an hour today. The post office buildings owned by the Branstads are located in the following towns: North English, Dunlap, Olin, Exira, Packwood, Manly, Guttenberg, Le Claire, Seymour, Sibley, Lake Park, Lake Mills and Lohrville.